The new ‘London Thameslink’ ticket type has appeared when booking tickets online or at the ticket vending machines. With Southen Rail all but disappearing from the Redhill Route to be replaced by Thameslink through the May 2018 Timetable changes this new ticket might be of use for some passengers. When you search for a ticket or season ticket on the planners you’ll now see a new option ‘London Thameslink’ as a destination (not to be confused with the station ‘City Thameslink’ – they didn’t really think that through). The new ticket destination is effectively a replacement for current tickets to named stations such as London Blackfriars, City Thameslink, Farringdon and St Pancras. Technically a ‘London Terminals’ ticket would allow you access to Elephant & Castle as this is on route to London Bridge. The benefit here of the ‘London Thameslink’ ticket would be for passengers travelling from the North down into London. More details on a London Terminals ticket can be found on National Rail Enquiries. There isn’t a big difference in pricing the London Thameslink ticket and it will be useful if you travel onto Farringdon, or St Pancras from the south, and down to Elephant & Castle for those travelling from the north. But for our area excludes access to stations such as Victoria. Example pricing at time of writing is (excluding underground travel card) is below. If you already hold a season ticket that is to a named station such as London Blackfriars, City Thameslink, Farringdon or St Pancras only we have been advised if you head to a ticket office you may be able to upgrade your ticket to a ‘London Thameslink’ at no additional. With the announcement this morning by the Rail Delivery Group that they will be launching a consultation on Rail Fares we’ve taken the opportunity to publish the response we sent the DFT when they announced their Action Plan on ticketing. Confusing multi ‘network’ tickets which are actually for the same train company (Gatwick Express, Southern ‘only’, Thameslink ‘only’). Oyster at some stations (but not all) and not within a zone. No easy access to the new Key Go product (due to the conflict with Oyster). Historic fare issues that mean most travellers buy a ticket from further down the line than their own station. We will be submitting a response from our members to the consultation and have reached out specifically asking to be involved in the process. 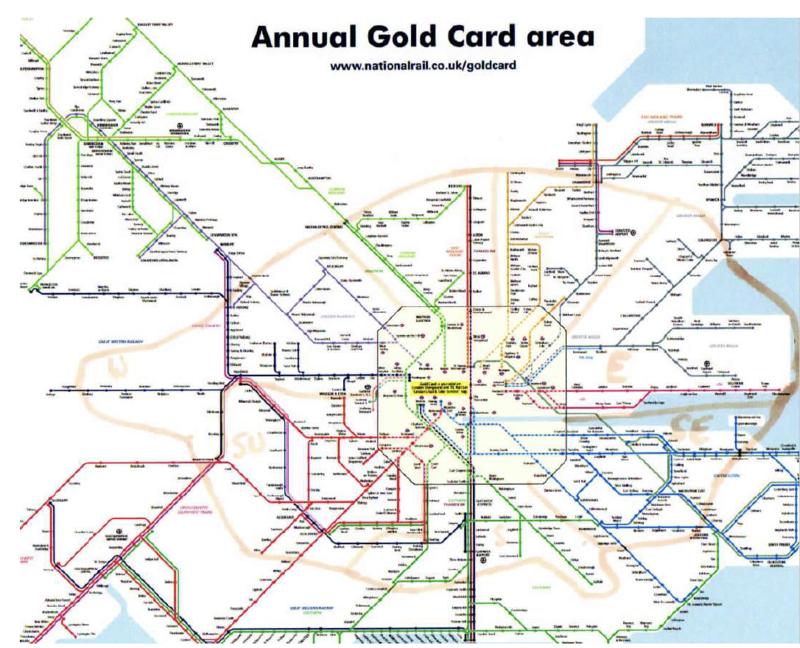 Redhill has suffered from unfair pricing structures in Rail ticketing for many years. The ‘Redhill fares hump’ has become a national disgrace mentioned in national media and upsetting to the many rail users locally. Here fares to London go up for Redhill and then down again as you head into Sussex further away from London. There is also a 47% increase in fare cost from Coulsdon South to Redhill – just two stations apart. This puts us in a unique position to understand the benefits and failures of the ticketing process and the research we have done enables us to comment on the current situation from a point where we are totally frustrated by the current system. In considering the current system and the DfT publications we believe we should put our own ideas forward. The Department for Transport has issued its update on the Action Plan: Information on Rail Fares & ticketing in December 2017. It is prepared in association with the Office of Road and Rail, Rail Delivery Group, Transport Focus (passenger watchdog) and Which? Consumer Association. 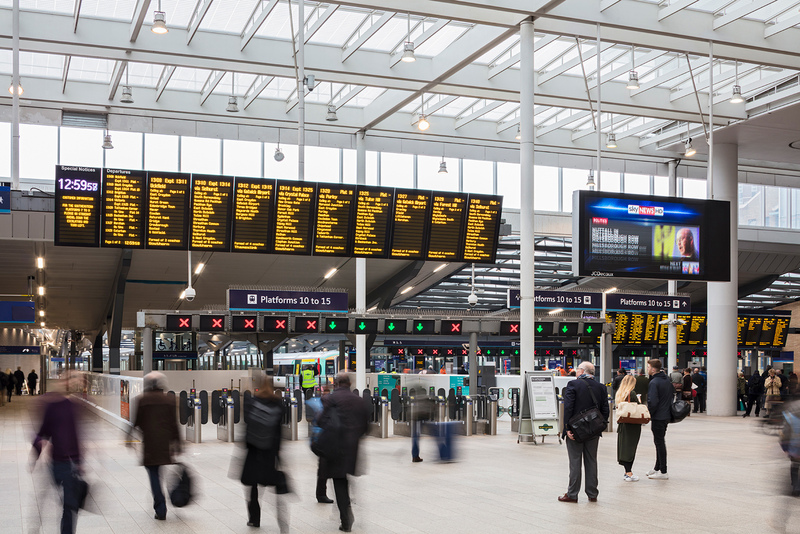 Whilst it is earnest in its attempts to fix perceived issues in ticketing, its focus is too narrow, and it does not ask the fundamental question: What Tickets do Passengers really want? The Current system of Rail Fares is based on systems set early in the last century and is designed for users who occasionally use the system, revolving around long distance fares. It is very complex and there are many different types and validity of tickets which users generally are very lost and failing to understand which results in many fares being overcharged. This current system needs a full overhaul starting from basic principles rather than a fix! As a rail user from Redhill Station our passengers want to buy a ticket to London, they are not sure what time they want to leave but somewhere between 8:30 and 10:00 and return could be any time same day. Our User logs into Southern’s Web portal for tickets and immediately is offered many options for ticket types and fare structures: London Terminals, London Zone 1-6, peak, off-peak, Thameslink only, Southern Only and Any Permitted. They are also given an array of trains to catch and which tickets are valid in which trains from which he needs to choose. Redhill is 30-40 minutes from London, so the rail user really just want to turn up to the station not spend 30 minutes online choosing a ticket – the last thing needed is a huge array of different tickets for different trains. 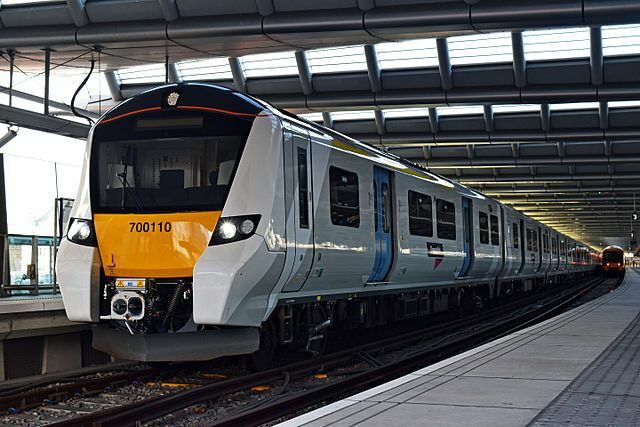 Let’s say they plan to just go to London Bridge, so the best fare is not offered by the online portal as it is actually from Gatwick Airport as London Bridge only tickets are not available from Redhill. Southern’s Web Portal will not show this as an option as they didn’t ask from Gatwick. The Issues here are that our Rail user doesn’t need a vast array of different fares, he needs a simple fare that allows him to turn up and use. The system is far too complex for the Redhill user on a 30-40 journey and options need to be reduced. However, if our Rail users are travelling from Newcastle to London, it’s a 3 or 4 hour journey and so they wouldn’t be likely to do regular so the vast options of times and fares is much more appropriate. Thus, for a Redhill User getting the same complexities on Season Tickets it becomes difficult as their journeys are unlikely to be constant and will need add on all the time. Plus, if the user is travelling to London there will be a portion of their journeys that are not just to one destination and they may sometimes want to travel round London as well. The current fixed end to end season tickets do not cater for this. There are of course many different travellers, but the Current fare structure is set up as if all customers are the long-distance type and trying to make a fare system fit all is not appropriate. This has already been done and very well in a way that has increased customer usage and is popular with users. It is of course the system operated in London by TfL. It works by using zonal pricing and loading journeys via a straightforward smart card (or contactless cards). This system records usage and works out for the passengers the cheapest fares and introduces capping on daily limits based on the area travelled to – this creates trust in the system. It is simple to use as it requires a simple card to be touched in whenever journeys start and finish. It also enables online access to travel records, so easy for passengers to see what journeys have been made and the costs charged. London, which allows users to turn up knowing when cheaper fares start. Then every journey or series of journeys can only have two prices (peak or not peak). This the regular commuter can understand and at the same time it will encourage others to use the system as it has become much simpler. It also works as the service is split into Zones and the price from one zone to another is simply understood. To cross a set number of zones the price is fixed by the number of Zones crossed. The price to East or West Croydon is the same as they are both in the same Zone 5, so the passenger doesn’t have the problem of deciding which station to go to as it might be cheaper to the other one. Stations on Zone borders are dual zoned so that passengers can approach from either side. This simplification of fares needs to be applied. Any station that has a peak time excess of commuters to a major conurbation should have access to Zonal fares. This applies to Manchester, Glasgow, Liverpool, Birmingham and others as much as London. However, as a Redhill Rail user group we will focus on putting this concept in practice around London. To make it work around London first the department must accept that the current complex system does not work very well. It produces confusion and resentment when passengers find travellers getting cheaper tickets for longer journeys. The complex Fare Structure is also putting people off using Rail travel meaning users resort to cars because they don’t understand the rail fare system. When Zone Fares were introduced to London, public transport usage soared as people felt they get a fair deal for their money and it was simple to understand. For a Zonal system to work it must also be used for short local journeys creating the habit for people to be able to just get on a train and use it. So, getting people to decide to use the train from Redhill to Horley is as important as Redhill to London. The Zones around London are about as far as you can go with circular zones around London, as they get further out there becomes a need to split them geographically (see appendix). This is to avoid a person travelling to central London getting the same price as someone who goes through London to the opposite side of the zone for little extra cost. Fortunately, the railway lines around London are shaped in spokes from major central London stations, So, it would be very easy to create quadrants grouped around the major stations. 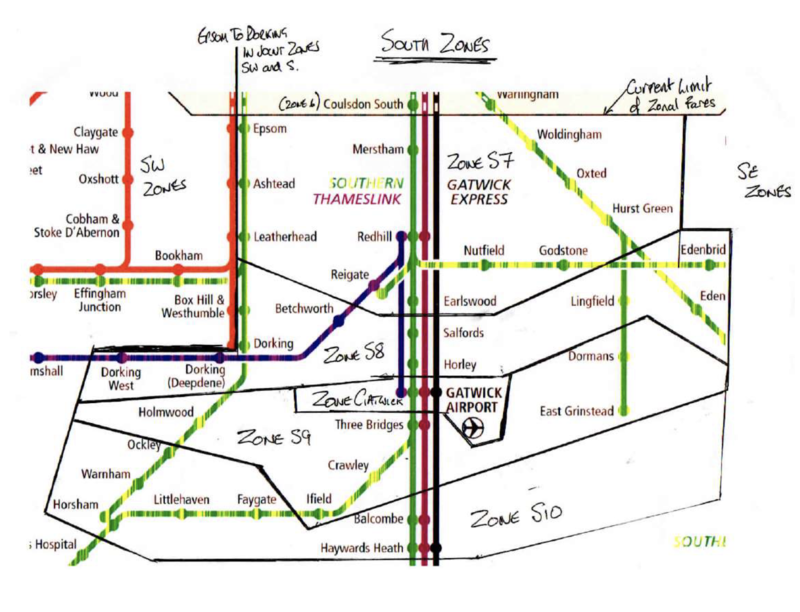 Thus, South of London you would have three zones based on SouthEastern, Southern and South Western Trains networks. For any journey within the zones only zone fares should apply. The fare for all journeys should be calculated at a standard price per zone. If your journey contains legs in four zones you pay for four zones, if just one zone then you pay for one. There should also be a capping system based on the Zone covered so that if you make multiple journeys you only pay the rate for crossing each zone once. The Caps should be based on number of Zones you cross. The Caps would encourage more usage of Rail systems and other public transport. As people get comfortable in using public transport because the system is easy to access. Currently there is confusion because it is very difficult to access. This creates a simple fare structure that avoids the need for complex calculations or decision making. Add local bus services to the payment system and that makes getting to and from the station simple with only one item needed for payment of both the bus fare. For places outside of the zone map the fare shall be based on a cost to the zone edge and then the appropriate zone fare within. For longer distance fares crossing the zone system (i.e. Brighton to Newcastle) there would be two top up fares [Brighton to Zone Edge & Zone Edge to Newcastle} and the Zone price in the middle. That means all travellers crossing London pay the same. Redhill you do not want to go online every time to buy a ticket, hence the need for a simple system of being able to turn up at the station and get on a train. That is where the simplicity of Zonal fares works. The Rail User knows the price will be the cheapest so doesn’t need to worry about checking prices. The idea of loading a ticket onto a smart card is beneficial for the environment but has no use to a regular traveller. First you have to go online to book a ticket and then the systems need to make sure at the tap in point it is possible to load the ticket. The problem with the system is that the system needs to load a ticket onto a card which requires significant intelligence within the card. Like all technology this has likelihood of breaking plus it needs to carry a lot of data which can get lost. Additionally, it is difficult for ordinary cards people are carrying such as Credit or Debit cards or mobile phones to be used with the system. Cards would contain RFID chips so they can be identified at each point. Thus, any card can be used or a phone. That is where the simplicity of the Zone system works as the fare structure relies on a few points rather than complex fare structures and special tickets. A potential risk is ticket inspections, but these can be simplified by having the card details read by the ticket inspector and where the ticket is recorded being fed into the system overnight. If the users haven’t tapped in and out on route where they could be that’s when the penalty system kicks in. The penalty fare can be charged straight to the users card, probably with a 28 day appeal procedure. This takes out the risk a ticket inspector has with an individual as they don’t give out fines because this is done later. They also don’t have to carry technology to issue complex tickets. Another way a simple zonal system will cut costs. Staff can then be used more productively helping users around the system, assisting with disabled passengers and keeping the network up to scratch. The Zonal system for fares is an intelligent, fair and simple response to the appalling complexities of the current structure. Point to point fares work for long distance travel such as airlines but for networks containing regular commuters it is much better to have a simple zone system. Less complexity, better understanding and easier for the technology to be used on. We think a more general review of Rail ticketing should take place and that should consider the ease and simplicity of travelling for passengers who travel regularly. We would be more than happy to be involved as a passenger group which has suffered from badly thought through pricing structures and needless complexity. Redhill Route stations don’t generally have “return” tickets to Victoria or London Bridge but a London Terminals ticket instead. So it is normally better to buy a Gatwick Southern only ticket to just one terminal. If you need the flexibility of multiple stations then buy the standard Redhill ticket. However there is one ticket the Redhill Route to Victoria Super off-peak return at £9.00 is very cheap but only allows travel to Victoria off-peak and is nit usable between 16:00 and 19:03 from Victoria (19:10 Horsham is first train it is allowed upon after peak). Also use on Thameslink is tricky question, some say they are valid as Thameslink and Southern are the same train operators but some say not. I think it would be a very mean inspector that prosecutes considering our trains have turned Thameslink only in December. Oyster has added to this complexity. Single fares to Victoria are cheaper than Redhill to London Terminals tickets and Gatwick tickets. So if you are going just to Victoria or London Bridge Oyster works and is cheaper. If you are going to add more travel like a tube and a bus you have to think carefully. However once you The caps seem to be £29.80 Peak and £19.00 off peak. If you are travelling off-peak it seems best to buy a paper ticket at £16.00 All-Zone travelcard from Redhill Route stations (Salfords/Horley is £17.00, same as Gatwick), especially as all but the Victoria one mentioned above would allow you to travel from 16:00 to 19:00 whereas Oyster makes that Peak time. Oyster would cap your fares at £16.00 unless you travel on anything between 16:00 and 19:00 when it’ll cap at £29.80. Oyster can save you if you do limited journeys and one of your journeys is off-peak.